Imagine you’re on Amazon searching for a futon, and you see futon after futon after futon, all basically the same. Then, you notice one futon that comes with two pillows and only costs an additional $5. That listing stands out from the competition and looks like a better deal. That’s differentiation. By adding something extra to your listing, even if it’s small, you’re adding value. Your product will stand out to the buyer. 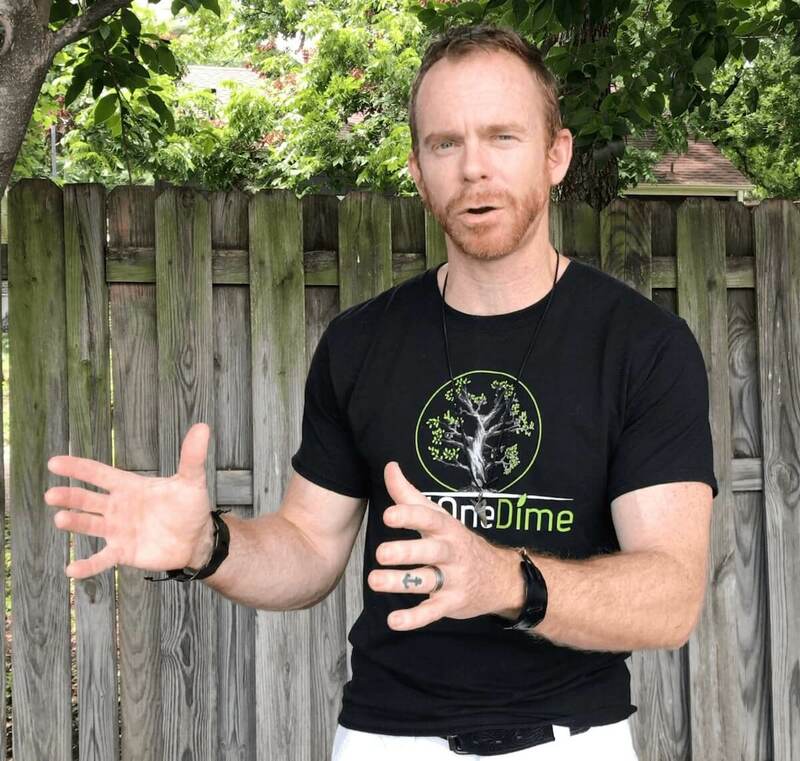 By differentiating your product, you’re separating yourself from the competition. There are countless ways to differentiate your products, but today, let’s just focus on two. Let’s say you’re selling a coffee mug on Amazon. If there are already 40 other people selling that mug, you need to differentiate to get your listing noticed. One easy way to differentiate is to add an accessory to your product. A lot of people drink coffee with a stirring spoon. So, why not add a stirring spoon as an accessory to your coffee mug? Or, you could go with a coaster or a scooper for putting coffee beans into the grinder. By adding a simple, inexpensive accessory, you’ll increase your product’s value in the eyes of your buyer. Your listing will stand out from the competition. It does take a bit of extra time to find and source the right accessory to complement your product, but it will be worth it once the sales start rolling in! 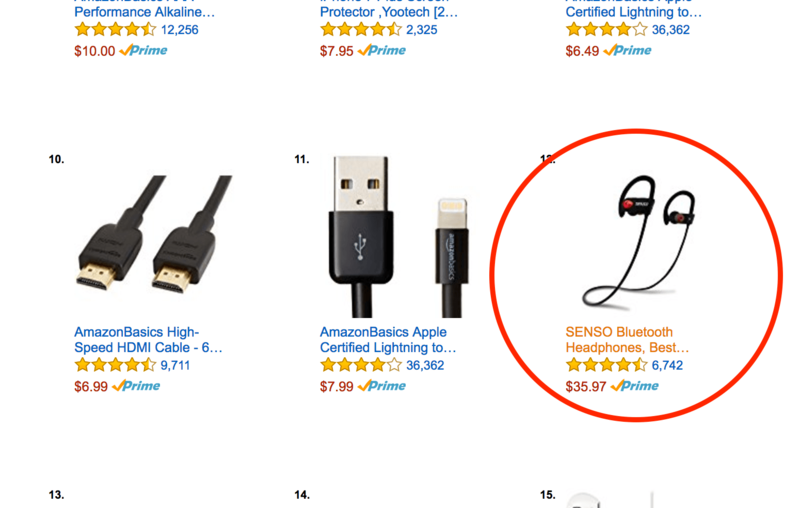 Let’s say I find a pair of headphones I want to try selling in the top 100 Best Sellers on Amazon. Right away, I know I can differentiate my listing by adding a simple case to go with the headphones. But what else can I do to stand out? 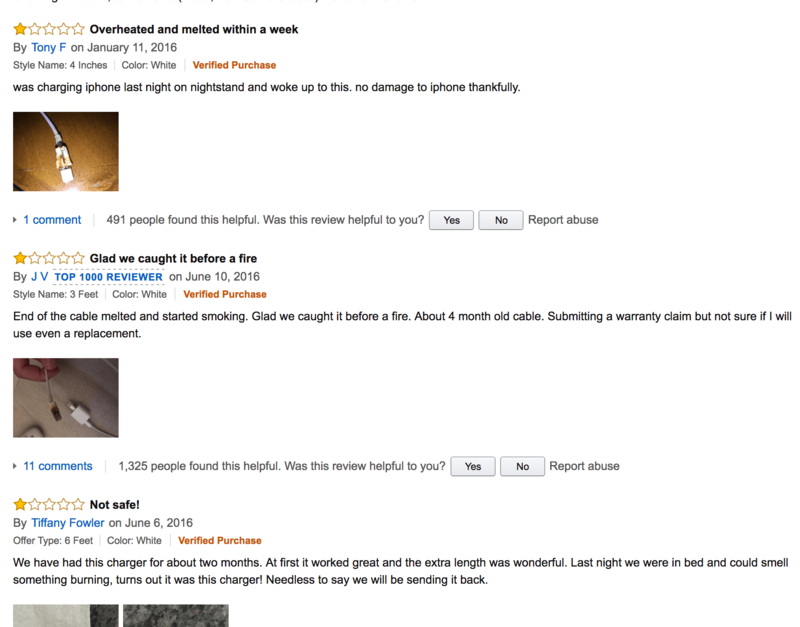 I can find another product that doesn’t have perfect, five-star reviews, and fix its problem. 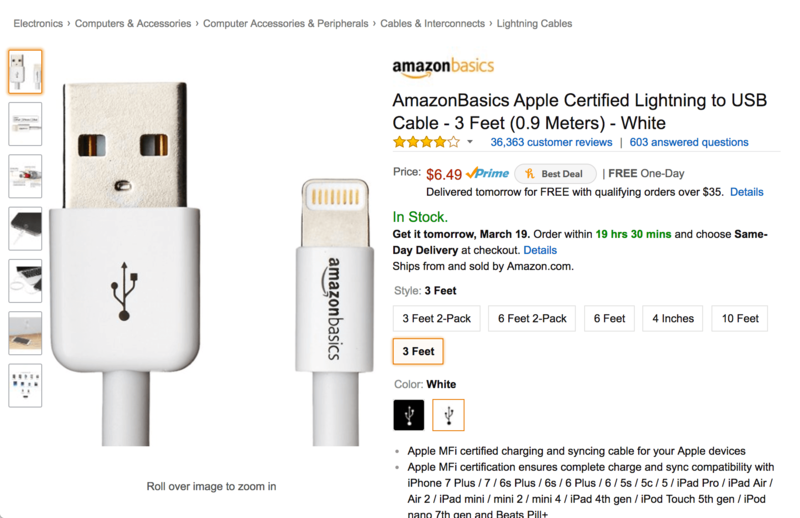 For example, here’s a USB cable with 36,000 reviews. 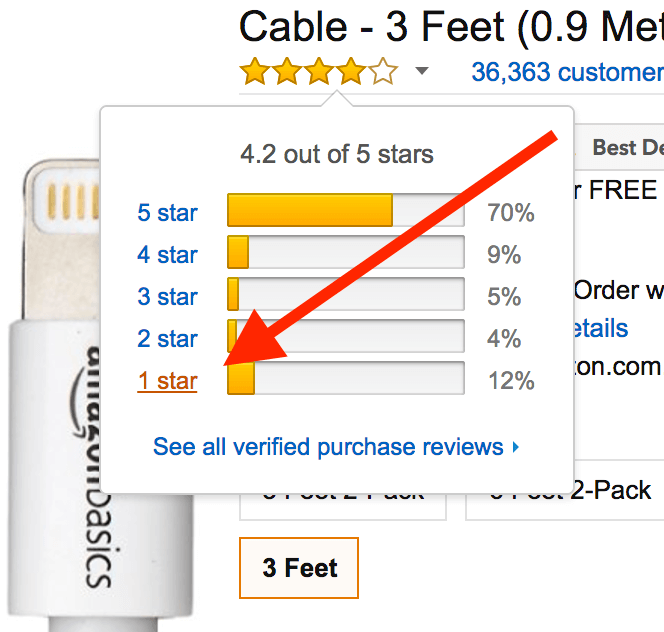 That’s a lot of reviews, which means a lot of competition, but I still want to try selling this cable. How can I differentiate? Start by looking at the one-star reviews on the product. One review on this cable says, “Overheated and melted within a week.” Another says, “End of cable melted and started smoking.” So, it looks like overheating is a common problem with this cable. Compile a list of the product’s weaknesses mentioned in negative reviews. Those are the problems you can fix in order to differentiate your product. What’s the next step? Find a supplier on Alibaba or DHGate and order a sample of the cable. Ask the supplier ahead of time if they’ve experienced any issues with their cables overheating. Then, test the cable yourself, using multiple computers and phones. Once you know your cable doesn’t overheat, you’re ready to create your listing. Here’s where you can make your differentiation obvious: the title. 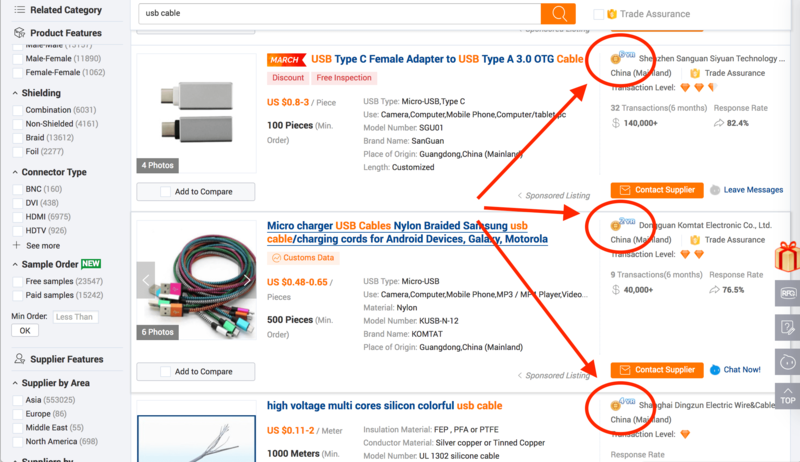 When you create your listing, title the product, “USB Cable, does not melt!” or “USB Cable, does not overheat!” Don't sacrifice keywords to do this. 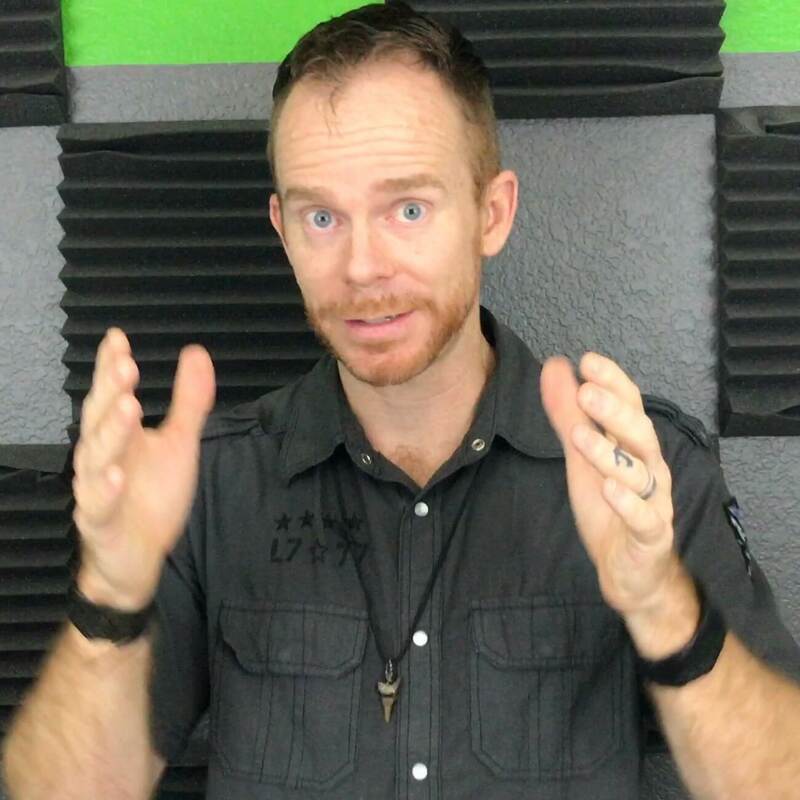 The first half of your title should be your power keywords. But the second half or even last third can often stand out if you mention your major differentiation right there. By fixing a competitor’s weakness, you’ve solved a problem for your buyer and successfully differentiated your product. Buyers who read the negative reviews on your competitor’s products will see the title of your product and choose your listing instead. 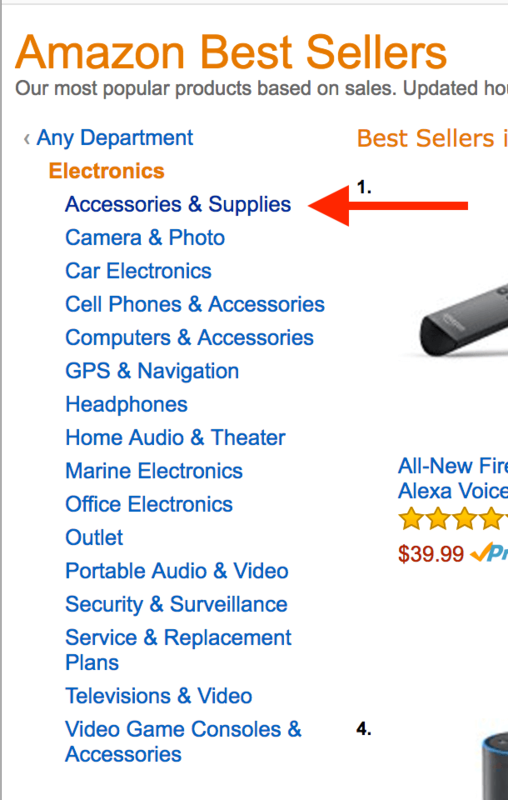 These are just two of the many ways you can differentiate your products on Amazon. Standing out from the crowd can be as simple as adding an accessory or fixing a problem posed by a competitor’s weakness. By differentiating your product, you’ll add value for your buyer and successfully separate yourself from the competition.